We are Shine and we are one of the region’s leading provider of sports coaching and child care activities. Formed in 2011, the company has expanded rapidly and currently employs nearly 70 full time members of staff who deliver a range of sessions including breakfast, curriculum PE, lunchtime, after school and holiday clubs at schools across Bristol and the surrounding education authorities. To maintain our reputation as a market leader, we attract and retain individuals of the highest calibre. 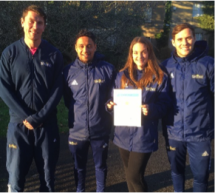 Our dedicated staff team comprises primarily experienced, highly qualified, professional sports coaches and creative leaders, all of whom possess the skills to inspire and enthuse children of all abilities and backgrounds. From our busy headquarters at Shine Community Sports Hall in Henleaze, Bristol, we run a range of family friendly activities for all sections of the community. 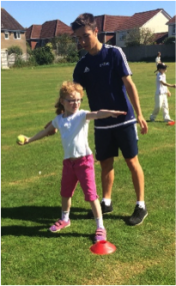 In addition, we organise a series of junior development squads (football, cricket, netball and gymnastics) and also deliver a hugely successful holiday club which attracts thousands of children every year at different locations. As an Ofsted registered company that operates a vibrant apprenticeship scheme, we invest heavily in our employees at all levels - as is illustrated by the successful in-house training programme and a commitment to fund individuals who wish to be upskilled in nationally recognised qualifications. Our staff are supported by an progressive line management structure which oversees regular appraisals, career path discussions and promises a vibrant social calendar. What we require – a qualified, motivated, enthusiastic individual to drive the gymnastics department forward. Top applicants will be level 2 qualified or above but applicants with a level 1 qualification will also be considered. The successful applicant will work with the Head of Gymnastics and as part of the gymnastics team to deliver a specifically designed Shine gymnastics badge scheme tailored to meet the needs of primary school children. Shine’s gymnastic sessions run after school, in PE lessons and during holiday clubs. The sessions range from beginner to intermediate level with an emphasis on fun and enjoyment. A basic knowledge of other sports is desirable to ensure successful delivery of lunchtime clubs and other multi sports sessions. The successful applicant will work as part of the dance team to deliver fun and safe sessions tailored to meet the needs of primary school children. Shine’s dance sessions run after school, in PE lessons and during holiday clubs. Dance styles include street, commercial and disco freestyle with an emphasis on fun and enjoyment. A basic knowledge of other sports is desirable to ensure successful delivery of lunchtime clubs and other multi sports sessions. What we require – a qualified, motivated, enthusiastic individual to deliver high quality lunchtime, PPA and after school club sports sessions. Top applicants will have a level 2 nationally recognised qualification and experience of teaching PE within primary schools. The successful applicant will work as part of the sports coaching staff to deliver a range of sports that make up the PE curriculum. They will also deliver sessions in the school holidays which are tailored towards their specific sport or activity. We are particularly interested in candidates with a qualification in netball but all level 2 sports will be considered. When not coaching, candidates will be assigned admin responsibilities which will be tailored towards the successful applicant’s skill set and background. They will be supported and encouraged to develop an area of the company to help further their career. Hours – Between 15 and 42.5 hours per week term time, 42.5 hours during school holidays. What we require – a qualified, motivated, enthusiastic individual to lead in the delivery of creative activities and support primary school aged children during breakfast and lunchtime activities. Top applicants will have extensive experience of working with children, a friendly and positive mentality and a qualification in childcare. 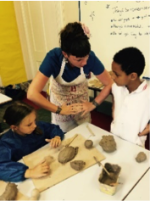 Candidates will be able use their own creative initiative to deliver after school sessions that follows a set programme involving a range of activities such as cooking, basic pottery, junk modelling and sketch & paint. They will be able to deliver lunchtime and breakfast activities that engage a range of children, either through a creative or sporting environment. During holiday periods, the successful applicant will be able to deliver a fun, safe and organised creative or sporting programme incorporating all the activities mentioned above at one of our many settings across the region. They will be able to follow session plans and where necessary assist with the continued updating of these plans. Ideal candidates will demonstrate good interpersonal skills, a well-presented appearance and an organised disposition. The job holder will be required to deal with children, parents and teachers so will be expected to represent the organisation positively and professionally at all times. On completion of the required training, candidates will be able to deal with registers and various other administrative duties assigned to them by members of the team. A high standard of face-to-face communication skills with staff, parents and children.